Water Transfer Tattoos are temporary tattoos which are applied simply by dampening with water on top of the tattoo pictures which transfers it onto the skin. Quick and easy to apply. Perfect for party bag fillers or doing events. People of all ages love fake tattoos! We supply a range of tattoo designs for both male & female – in black, or full colour. We supply the tattoo designs in single sheets, where each sheet contains 3 to 5 tattoos. 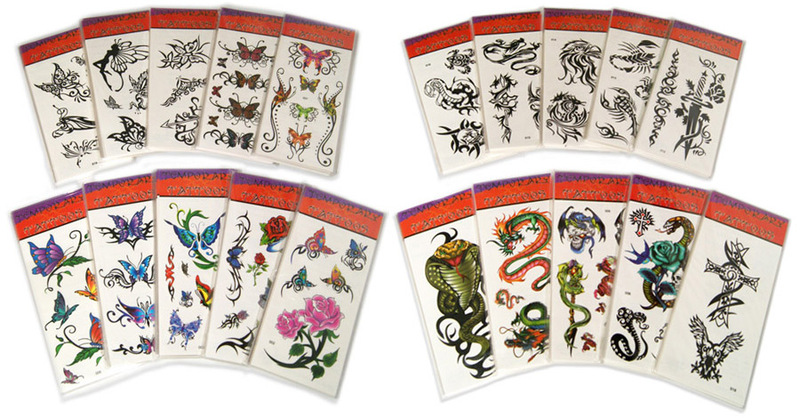 Or we can supply a pack of sheets with 200 tattoo designs (10 packs of 20 sheets – several designs per sheet). 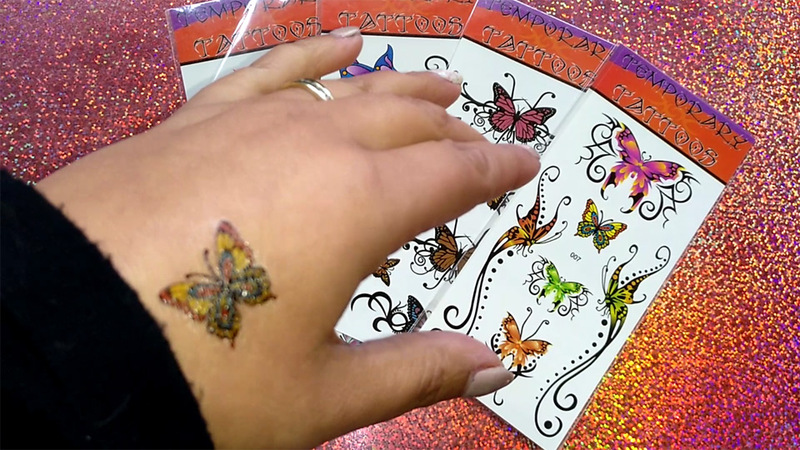 Our range of designs include butterflies, dragons, snakes, flowers, scorpions, fairies – and lots more! These are the perfect temporary, single use tattoos for a short period of time. How to remove: Apply baby oil to a small cotton pad and apply to remove the area, gently rubbing. We don’t recommend using on children under 3 years of age or applying to sensitive skin.